Poland says it is set to purchase artillery rocket systems worth $414 million from the United States as the two NATO allies seek closer military ties amid tensions with Russia. The deal, which is due to be inked on Wednesday, will “significantly increase Poland’s army’s capacities,” Defense Minister Mariusz Blaszczak said on Sunday, adding that delivery of the mobile rocket launchers was expected by 2023. 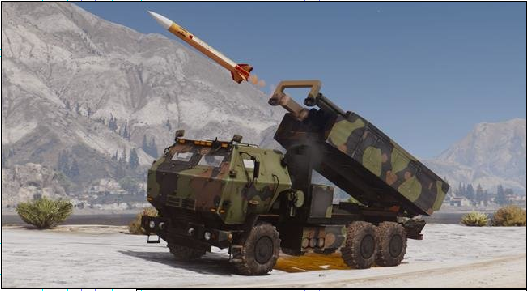 The High Mobility Artillery Rocket System (HIMARS) — manufactured by US weapons giant Lockheed Martin — can launch six guided rockets with a range of 70 kilometers, or a single missile with a 300-kilometer range. The sale of 20 HIMARS launchers and related equipment to Poland had been approved by the US State Department and Congress in November 2018. An analyst says there is no need for a permanent US military base in Poland because basically there is no threat posed by Russia. Poland has long hosted military forces from the US and other members of the NATO military alliance on a rotational basis. The right-wing administration in Warsaw has also been pushing for Washington to open a permanent military base on its soil as a “deterrent” against Russia. NATO has runs a “counter-espionage” hub in Poland amid tensions with Russia, which broke out after Crimea voted in a referendum to separate from Ukraine and rejoin the Russian Federations in 2014 amid a political conflict with Kiev. The US-led alliance has since bolstered presence in Eastern Europe at the Russian doorsteps, raising security concerns in Moscow. America’s announced withdrawal from the Intermediate-Range Nuclear Forces Treaty (INF) with Russia will fuel nuclear proliferation, says an analyst. Is Qatar really supporting terrorist ideologies?